Security is crucial, no matter what trade you are in. Your business is an important asset that should be protected as much as possible. 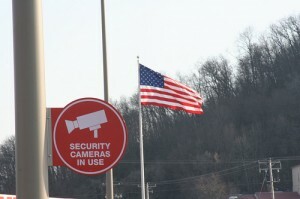 Surveillance cameras help to provide Fort Lauderdale businesses with the extra security they need. This helps the business to gather video evidence that can be used in the event of a break in. The CCTV system is also tied into an automatic alarm system that notifies the authorities of a disturbance. Your security camera investment is designed to bring you peace of mind. Working with professional CCTV camera installation companies in Fort Lauderdale can help you make sure that you get the best system on the market. A professional service will give you the personalized attention you need to make a practical decision for your business. There are many different benefits to installing a CCTV security camera in your commercial building. Some of the most affordable CCTV camera installation companies in Fort Lauderdale Florida will be able to deliver a system that works well for your company. You will be able to add value to your business operations as you reap a number of great benefits. Gathering evidence is the biggest reason people invest in security systems. Video footage and high-quality sound allows you to capture almost any moment. This allows you to not only catch criminals that break in, but monitor employees as well. You should know if your employees are acting unprofessionally or saying rude things about others. You should be able to monitor potential customers and watch for signs of theft. This will help your business to become stronger and more functional. If legal issues do arise, you can use your recordings as solid evidence in your case. Professional CCTV camera installation services Fort Lauderdale residents rely on will allow you to combine your equipment with an alarm system. This system can work as a deferent, creating loud sounds that cause criminals to panic. You can also set up this system to notify the police immediately. The best CCTV camera installation services Fort Lauderdale will offer you a free service consultation. This consultation will be designed to give you insight into how the equipment will help your business. Personalized attention from an experienced technician will allow you to see the specific advantages of installation first hand. The technician can go over any details you are unclear about and find a security package that meets your budget requirements. The best companies will disclose all of their rates up front and discuss the costs of system maintenance with you. Affordable CCTV camera installation companies in Fort Lauderdale Florida use some of the best technology on the market. Even if they are not using the newest system, the company can still select an advanced system with all of the features you need. High-definition video and sound are only the beginning. 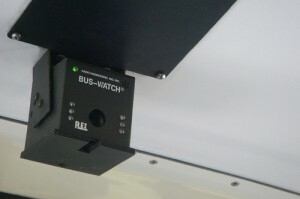 Some of the latest camera designs include extra features that allow you to monitor activity from anywhere in the world. Alerts can be sent to your phone at the first sign of trouble. Another major advantage to using newer technology is that it can be made more eco-friendly. These new devices use a lower voltage power, which consumes less energy. Reducing the number of internal and external cables has also cut down on many of the supplies used to create previous models. Because each system includes DVR technology, you can still preserve power as you take advantage of the best motion detection settings. Fort Lauderdale has plenty of different installation companies available. Choosing between these professional CCTV camera installation companies in Fort Lauderdale Florida may be difficult without research. By conducting research and interviewing many companies, you can find a specific security package that works for you and is within your budget. Work with an experienced company to ensure that your installation runs smoothly without any disruptions to your business. Contact a professional CCTV camera installation service in Fort Lauderdale today to learn more about the equipment and services available now.